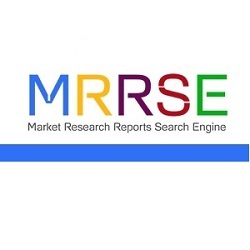 In order to study the various trends and patterns prevailing in the concerned market, Market Research Reports Search Engine (MRRSE) has included a new report titled “Calcium Chloride” to its wide online database. This research assessment offers a clear insight about the influential factors that are expected to transform the global market in the near future. The calcium chloride market continues to witness a steady growth, underpinned by its demand across a wide range of applications including industrial processing, dust control, and construction. Demand for calcium chloride will also remain driven by its adoption as an ideal de-icing agent, owing to its lowest freezing point compared to its counterparts such as potassium chloride, magnesium chloride, and sodium chloride. The information provided above has been gleaned from the report titled “Calcium Chloride Market, Global Industry Analysis, Size, Share, Growth, Trends, and Forecast 2018-2026,” incorporated recently to the extensive repository of Market Research Reports Search Engine (MRRSE). The study foresees North America to remain the most lucrative market for calcium chloride. Revenues from calcium chloride sales in North America accounted for over two-fifth market share in 2017. Occupancy of the calcium chloride producing giants in North America has been of the key aspects driving the market growth in the region. On the other hand, the calcium chloride market in Asia-Pacific has been foreseen to record the fastest growth through 2026. This can be mainly attributed to the resurgent growth in construction activities along with several infrastructure development projects taken by governments in developing economies such as China and India. This analytical research study on the calcium chloride market offers in-depth analysis and accurate forecast on the market for the period of forecast 2018 to 2026. Most influential market dynamics, including drivers, restraints, trends, and opportunities have been assessed in the report to offers a view of historical, current, as well as future prospects of the calcium chloride market. Apart from the assessment on the market dynamics, the report also includes a detailed value chain analysis, Porter’s Fiver Forces analysis, and the market attractiveness analysis, to offer understanding on the market’s competition landscape, and benchmark the product and application segments based on their general attractiveness, growth rate and the market value. The report offers an exhaustive assessment on the competition scenario of the calcium chloride market, with an aim to offer readers with insights on the expansion strategies adopted by the leading and emerging players. A competition matrix is also incorporated in the report to offer comparison between top players operating in calcium chloride market. Key players profiled in the report include Sameer Chemicals, Auro Chemical Industries Pvt. Ltd., Sitara Chemical Industries Ltd., Weifang Taize Chemical Industry Co. Ltd., TangShan SanYou Chemical Industries Co., Ltd., and Qingdao Huadong Calcium Producing Co. Ltd.
Information and insights offered in the report have been compiled on the basis of a robust research methodology, which involves comprehensive primary and secondary researches. Information obtained from the secondary research has been validated with the help of information gained from the primary interviews conducted with leading industrialists worldwide. Data obtained from the secondary and primary researches are further validated by our in-house expert panels. This study serves as a dependable source of information on the calcium chloride market, so that the readers can make fact-based decisions for their businesses in the calcium chloride market.